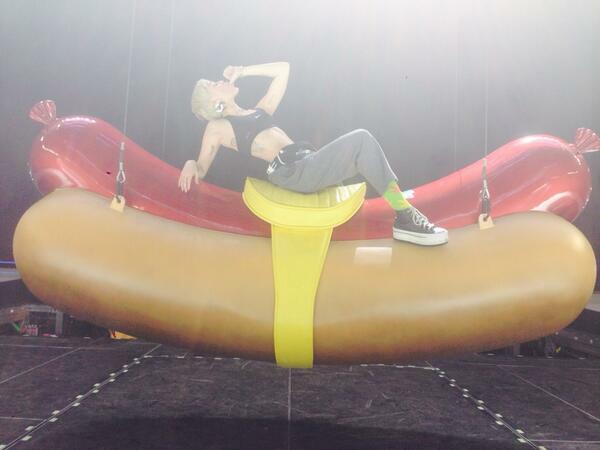 Miley Cyrus takes it to the next level in rehearsals for her upcoming #BANGERZ tour. My father had the Oscar Meyer Wiener mobile for a month. Imagine finding that parked in front of your house when you got home from school. Not cute. Now my interest is piqued.